This fall, I brought this large hibiscus tree inside to overwinter it in the house. I am a softy when it comes to plants and I just can’t bare letting them die by slowly freezing to death. 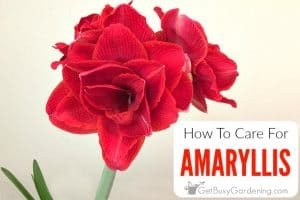 It was lush and beautiful and flowering profusely when I brought it in. It was also very root bound and in desperate need of repotting, but it was already too large for my house so I didn’t want it to grow any larger. 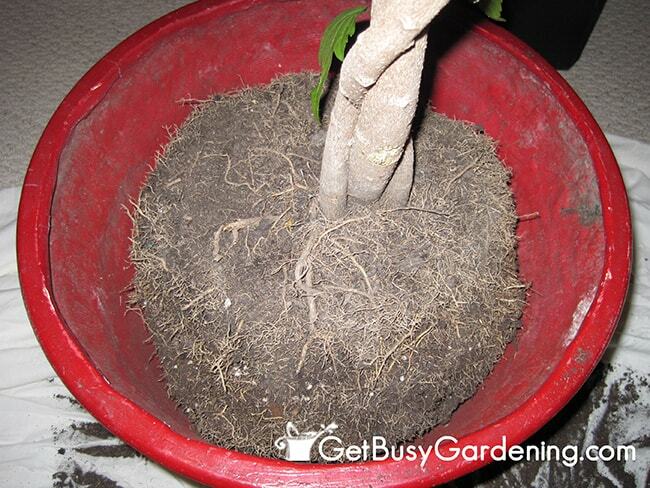 Normally, when a houseplant becomes root bound, you would repot it into a larger pot. 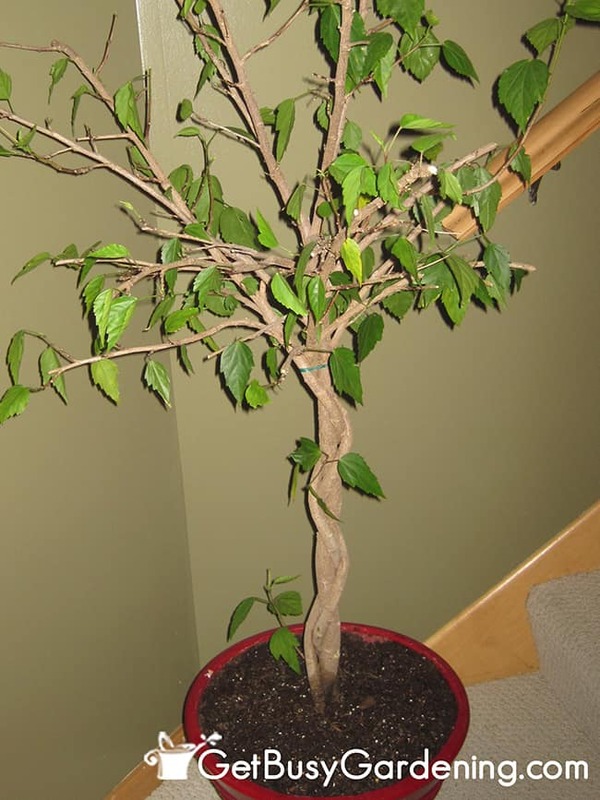 Repotting a houseplant encourages the plant to grow larger. 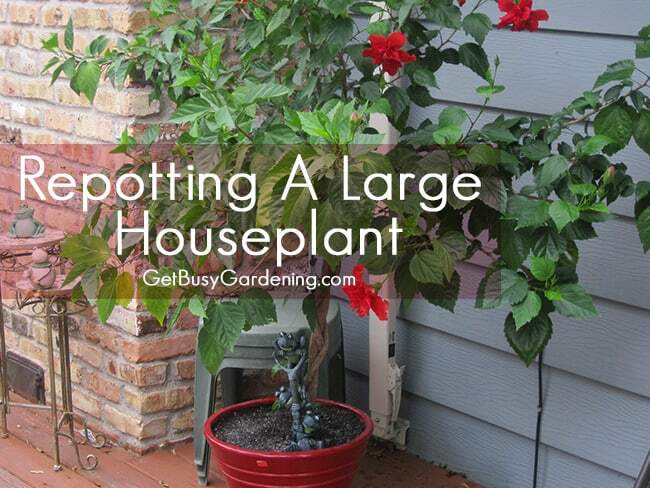 But, if you have a plant that is already large and you don’t it to grow any larger, there is a solution. 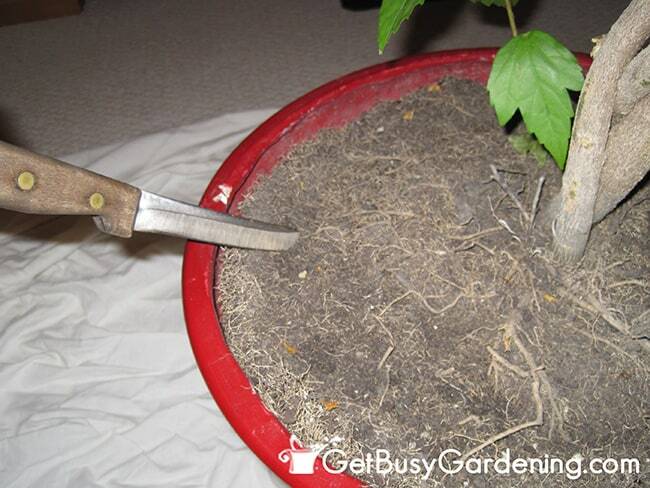 You can trim the roots and repot a large houseplant back into the same pot. This is what I chose to do with this hibiscus. First I gave the foliage and branches of the plant a drastic trim. Next, I used a knife to trim off a few inches all the way around the root ball. Most of what I removed were small surface roots. Then I filled the bottom of the pot with fresh potting soil and placed the root ball back in the pot. Finally, I filled the rest of the pot with fresh potting soil and gave it a good drink of water. Whew, now that that’s done, the size of the plant is much more manageable, and I think I will be able to find a place for it to live during the long winter inside. 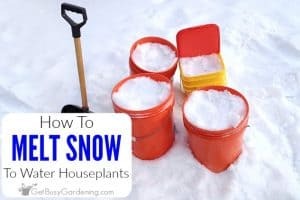 Do you overwinter any large plants in your house? Great info, Amy! Very nice pictures to go along with the instructions too. Thanks for sharing. 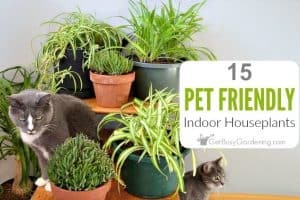 An excellent tip on how to keep your potted plants in good ocndition when they have become pot bound and you do not have the space for them to grow any larger. Hi Julie and Growing Vegetables! Thanks for the nice comments, I'm glad you like the post! Many thanks for the tip! Growing plumerias on balconies up on the 21st floor can be rather challenging. Now I can try to repot some of my pot bound ones. 🙂 Thanks again! Thank you! 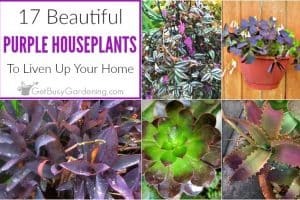 If you are able to remove the plant from the pot, and the roots are growing in a circle around the bottom, then you can certainly trim those too. 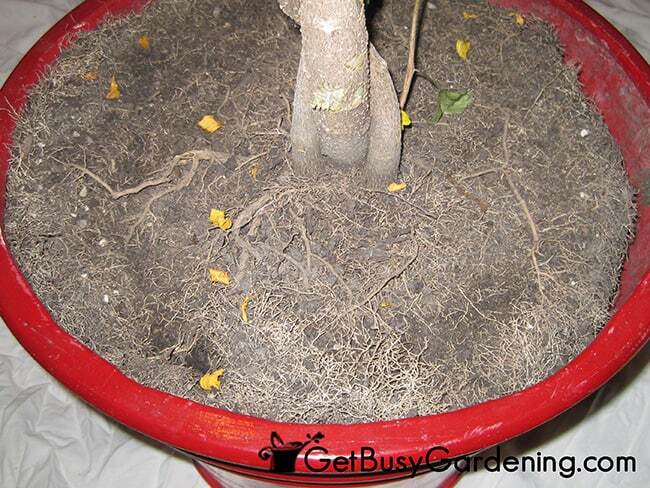 If they are only small surface roots, then you can trim them pretty safely. But, if you’re talking about a thick tap root, then I wouldn’t cut too much of it off. Definitely trim off any unhealthy parts of the roots though.